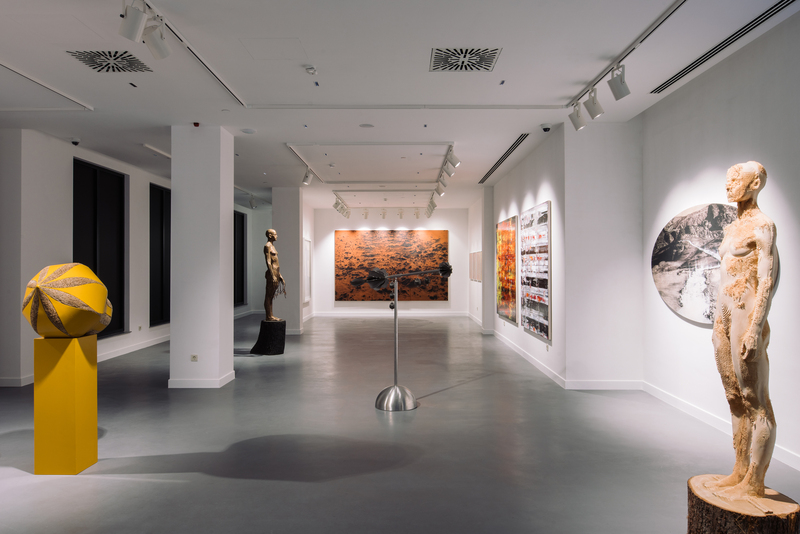 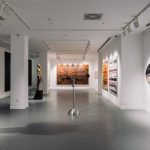 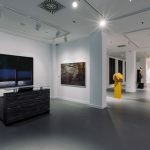 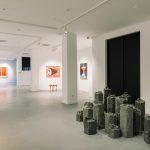 The inaugural exhibition of the redesigned gallery space of Gazelli Art House, Baku presents highlights of works by gallery artists Aziz+Cucher, Ben Tricklebank, Charlotte Colbert, Francesco Jodice, Giovanni Ozzola, James Ostrer, Jane McAdam Freud, Kalliopi Lemos, Niyaz Najafov, Philip Colbert, Recycle Group, Saad Qureshi, Stanley Casselman and Walter & Zoniel. 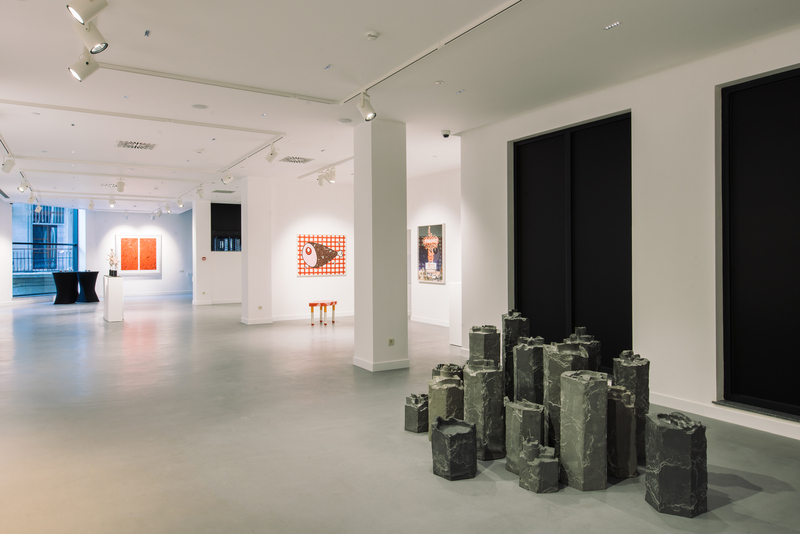 Including works by Aaron Koblin, Aron Demetz, Do Ho Suh, Kyung Woo Han, Peter Alexander and Shan Hur. 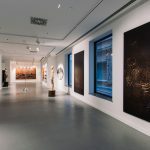 The group show is based on the approach exhibition held at Gazelli Art House, London in 2015 celebrating its fifth year anniversary in London. 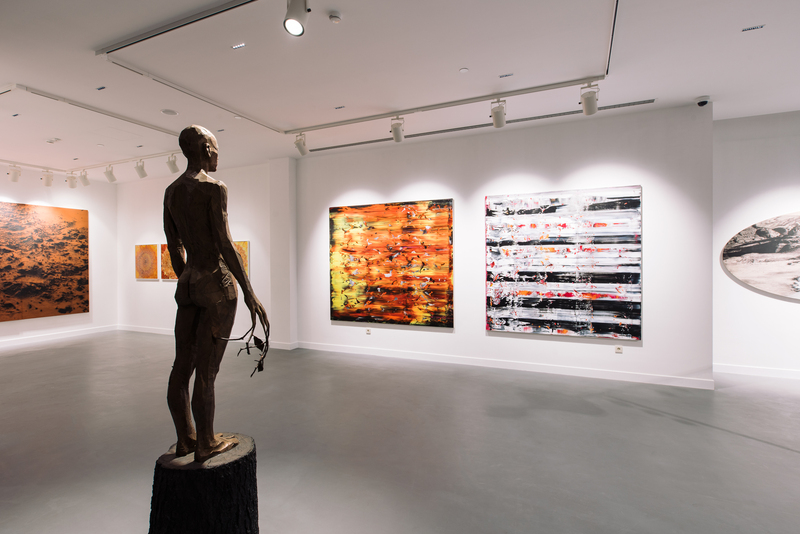 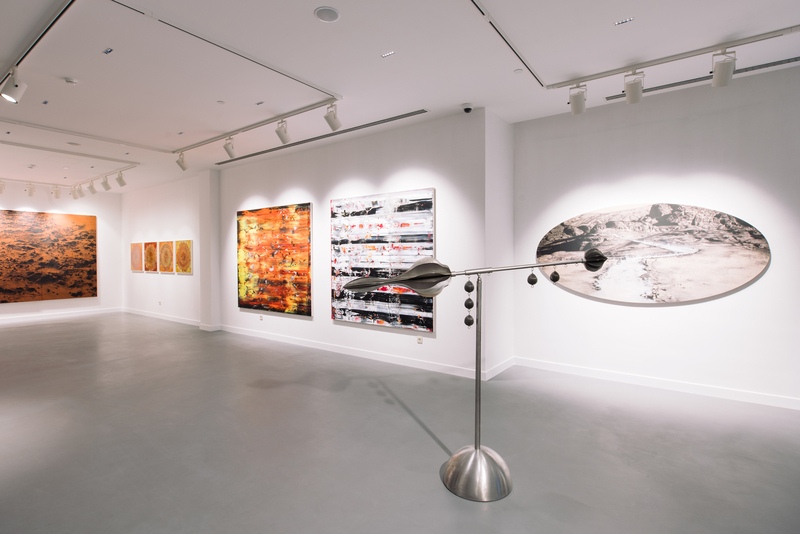 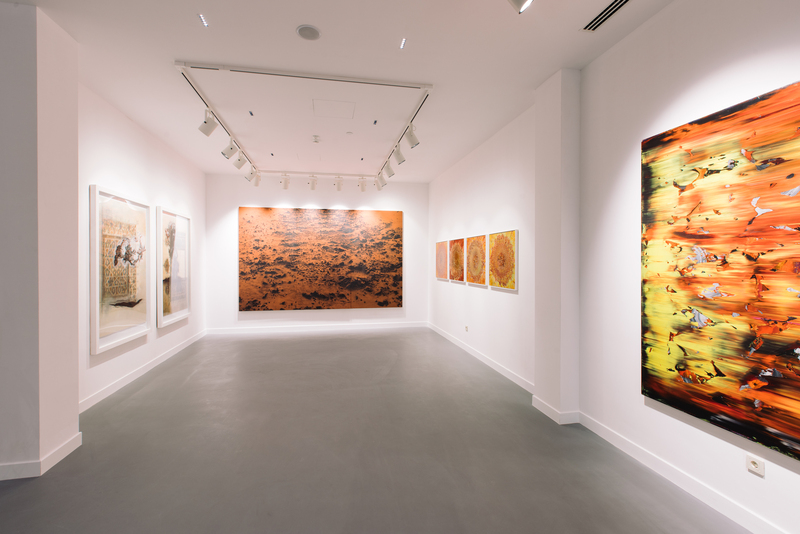 Referencing the audience’s approach to the gallery’s curatorial themes over the years, the exhibition encompasses both its affiliation with the New Age, and the Tradition. 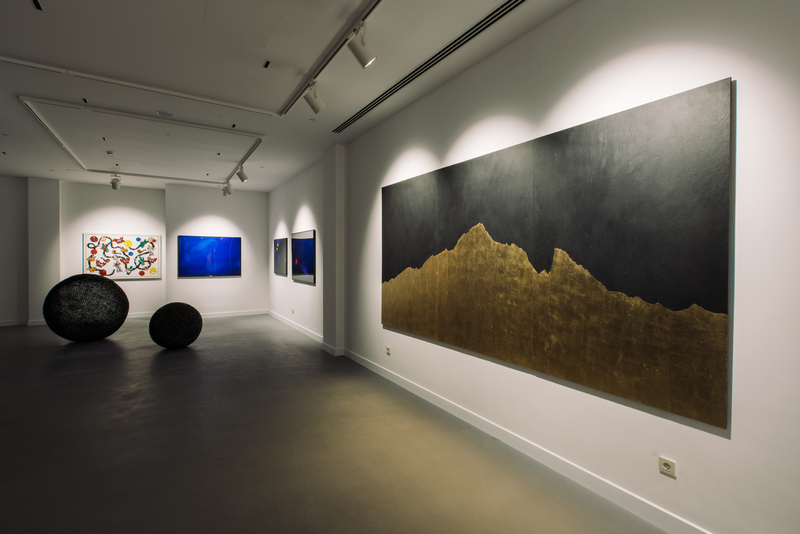 The audience is introduced to the core of Gazelli Art House – the raw, emotionally-charged works, as well as to the digital and innovative. 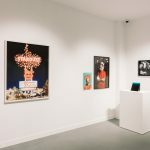 Four themes are simultaneously explored – abstractism being the starting point, with the works of Stanley Cassleman’s Luminor acrylic on canvas series and Walter+Zoniel’s Toki photographic series from their 2014 Liverpool Biennial display. 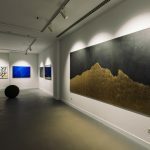 Earthly elements are then touched on through Aziz+Cucher, who have inaugurated Gazelli Art House Baku in 2012, and now return with their 2004 Scenapse series (comprising of c-print on endura metallic paper with aluminium mount) and a monumental tapestry from their SOME PEOPLE series. 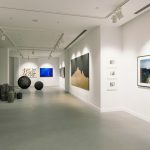 Giovanni Ozzola who has also exhibited in the Baku gallery once before, returns with his large-scale photographs of man-made structures (garage spaces or abandoned car lots) against a background of the serene horizons, illustrating change in light during the pass of day. 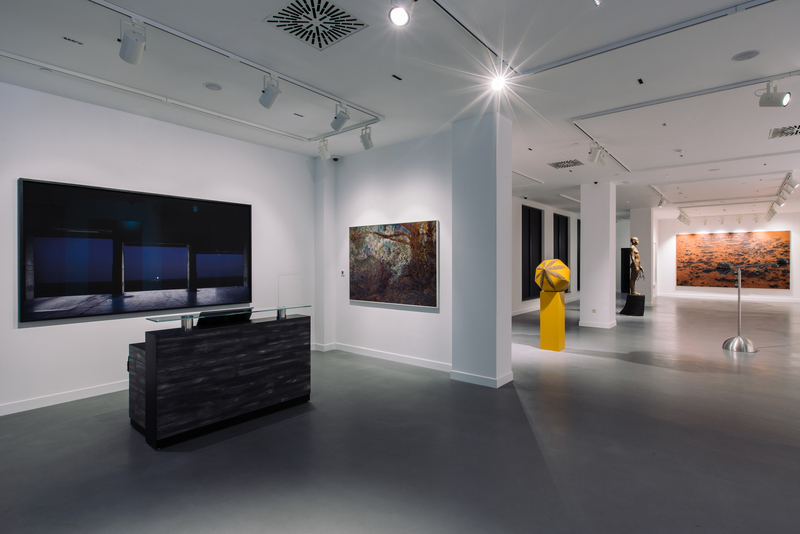 Jane McAdam Freud returns with large steel wire sculptures from her Mother Mould series (2014-15) while Kalliopi Lemos Figurines depict the fragility of social norms. 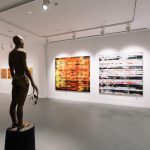 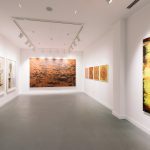 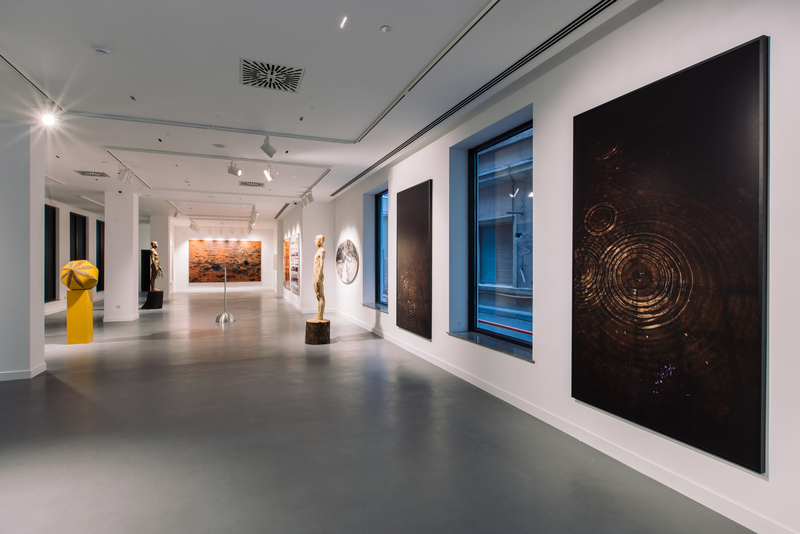 First time exhibited in Baku Saad Qureshi with his mixed media drawings on wood panels and Aron Demetz’s wood sculptures continue the enquiry into visceral impact of earth’s output. 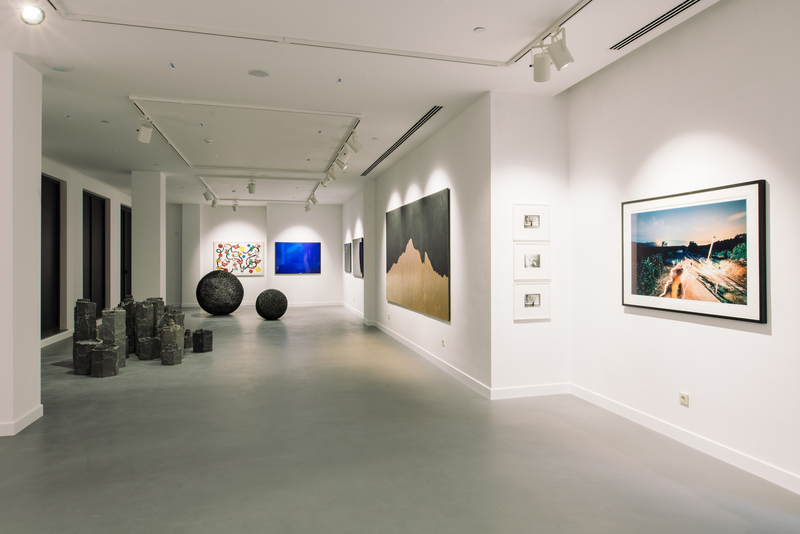 The third theme is movement and the inevitability of change that is depicted through Aaron Koblin and Ben Tricklebank Light Echoe photographs, that document traces of light broadcasted onto landscapes by a laser aboard a moving train; Charlotte Colbert’s A Day At Home photographic series (2013) displaying day-to-day scenes within the confinements of a derelict home; Francesco Jodice’s critically acclaimed What We Want series (from 2002, ongoing) capturing change in political and cultural landscapes in places like Baikonur, Hong Kong and Las Vegas. 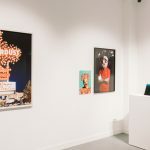 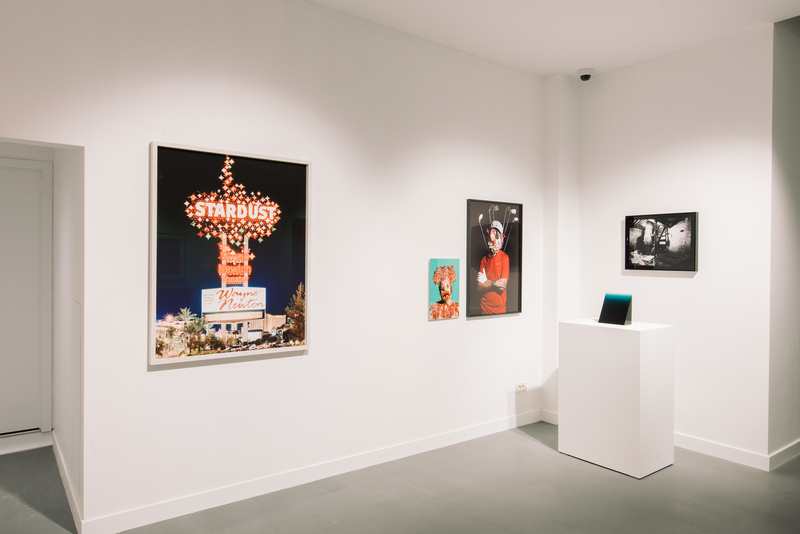 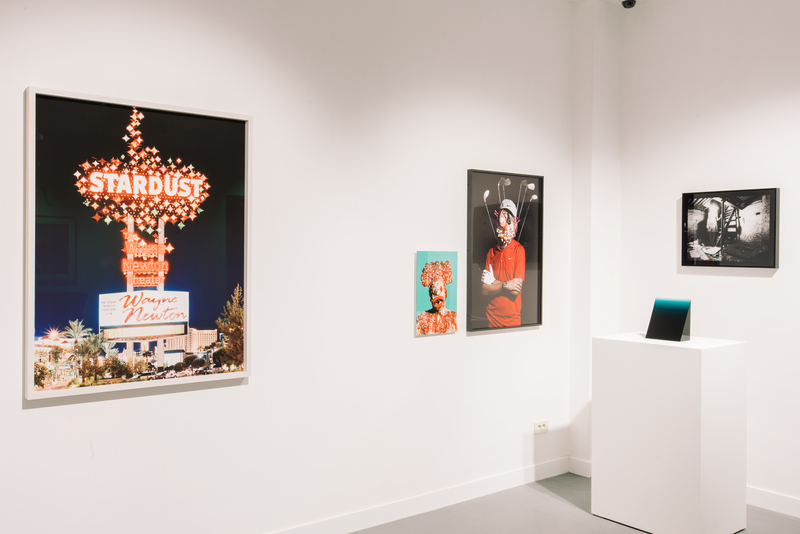 James Ostrer’s Wotsit series and Philip Colbert’s pop inspired sequin on canvas body of work, are a playful take on change (or lack of) in popular culture. 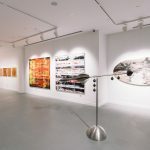 Finally Kyung Woo Han’s moving image of a football pitch over 10 46-inch monitors encapsulates the recurring cycles of change. 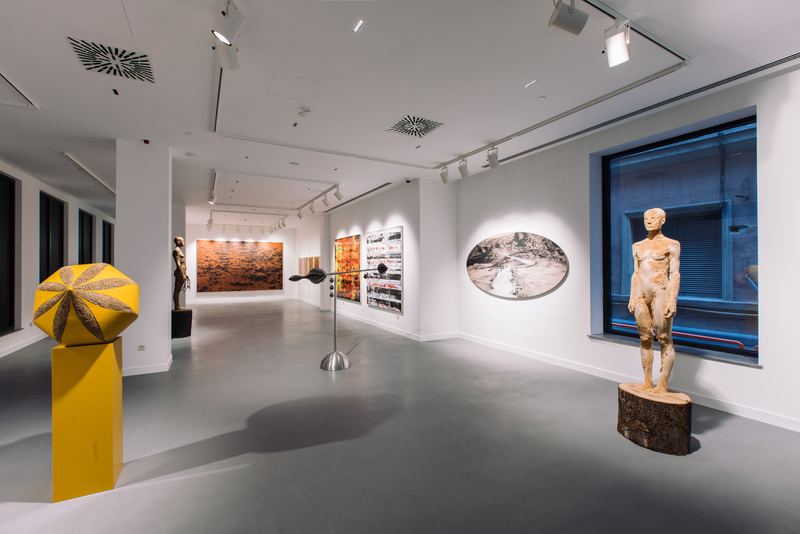 The fourth element – the ethereal futurism, is emphasised by works of Recycle Group with their installation comprising of several polyurethane rubber cast sculptures with icons of social media, Do Ho Suh’s Specimen series made of polyester fabric, Shan Hur’s sculptures made of bronze and Peter Alexander’s urethane sculptures underpinning the California light and space movement. 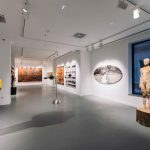 Drawing emphasis on continuity and the inherent mission of the gallery to question and provide an indpendent platform for discussions the approach, Baku reinstates the underlying concepts that the gallery was built on, in 2003 in Baku.